J4 Packaging are a leading wholesale supplier of packaging supplies to the industry. We supply a vast selection of cheap bubble wrap roll with a choice of many bubble wrap types and thickness. 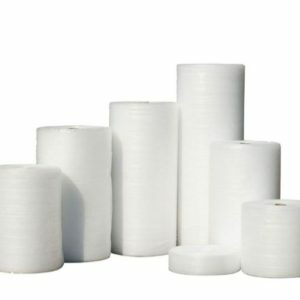 J4 Packaging offers you a range of high-quality protective packaging such as cheap bubble wrap roll at a low cost with great discounts available for quantity orders. We supply direct from our warehouse based in Birmingham to anywhere in the UK. We are open from Monday to Friday from 8:00am till 5:00pm, please call our warehouse on 0121 558 6600 for a FREE quote today. 100m Wide Small Bubble Made with bubbles that are 10mm in diameter. Extremely lightweight and durable, ensures that the products packed stays undamaged.UK manufactured.